Labour select veteran councillor and former Mayor Charlie Curtis to contest Aveley and Uplands by-election. AVELEY and Uplands residents have been let down recently with the Tory administration spending £10 million on a new council chamber whilst supporting the closure of Orsett Hospital claims Labour. Thy eared also camapigning on concerns that the green belt is under threat and congestion on our roads is set to get even worse as the Tories propose to build over 30,000 new homes. 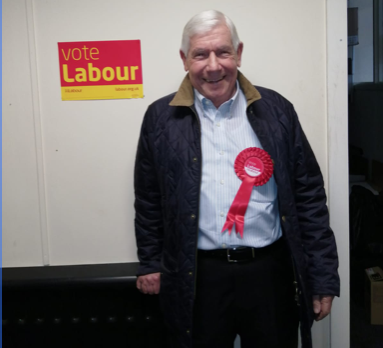 Charlie said: “I have lived in Thurrock almost 50 years, it’s my home and I will do all I can to stop our area losing vital services including Orsett Hospital and our green belt from being blighted by new houses. “We deserve a community that is cleaner, fairer, and safer. I have the experience to deliver this for Aveley and Uplands and ask for your support on March 21st”.